Aha! Revival - Let's Make Love Go Viral !!! Aha! – Is an exclamation used to express pleasure in a sudden discovery, insight or realization about the truth of something. Visit theAha! 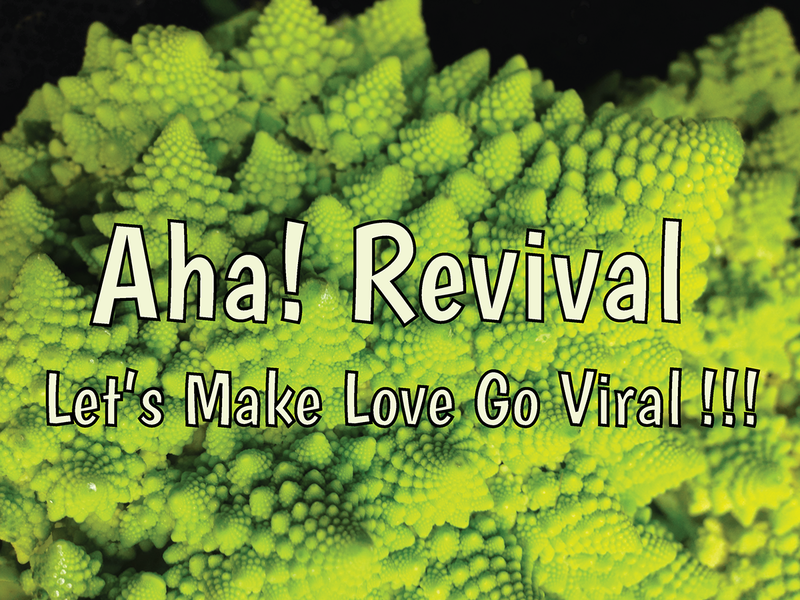 Revival Facebook Page for Daily Aha! Idea Quotes. Including direct links to the video or source the quote came from! “When you share an idea, you can give it all away and still have all you had to begin with. There are no new truths, Aha! wisdom and insights have been around for centuries. But the Aha! Revival is happening right here, right now in real time. You can tune in for daily Aha! ideas from living visionaries sharing their transformational insights at the Aha! Revival Facebook Page. We amplify ideas when we share them, so shout your shares and let’s get this Revival started! In a world filled with thought pollution, the Aha! Revival is a media pipeline carrying pure clean wisdom. We are the media! It’s up to us to Share Love. We can start to make love go viral by simply sharing one Aha! idea at a time.